From the price we pay for our electronics, little comes back to the people who dig the metal from the soil. This is also the case for cobalt from the Democratic Republic of Congo, an important raw material for batteries and accumulators. Congolese receive little earnings. In fact, people and nature pay a high price. One of the best known resource-funded conflicts has been the war in the eastern provinces of the Democratic Republic of the Congo (DRC). In the DRC, impunity and weak public institutions result in recurring violence, in which control over Congo’s rich mineral resources remains a central catalyst. 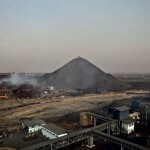 Although the security situation in Katanga is much better than in it’s neighbouring Kivu provinces, mining takes place at a high human and environmental cost. Communities pay a brutal price when they lose their livelihoods to make way for mining projects. Workers risk their health and lives in Congo’s dangerous pits. Dodd-Frank Act (2010) requires listed companies to disclose the source of minerals in their products. The European Commission has proposed a conflict minerals regulation currently under discussion in the European Parliament. However, much more is needed in order to improve the human rights and environmental conditions in the mining areas of our world. 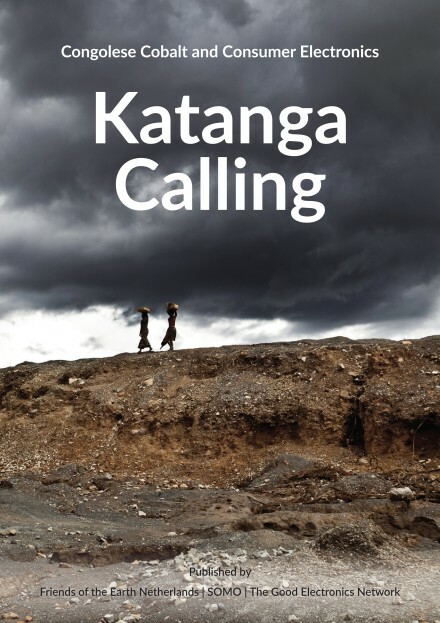 Milieudefensie (Friends of the Earth Netherlands), SOMO and GoodElectronics published the brochure ‘Katanga Calling’ which documents the human and environmental costs of cobalt extraction in the DRC.